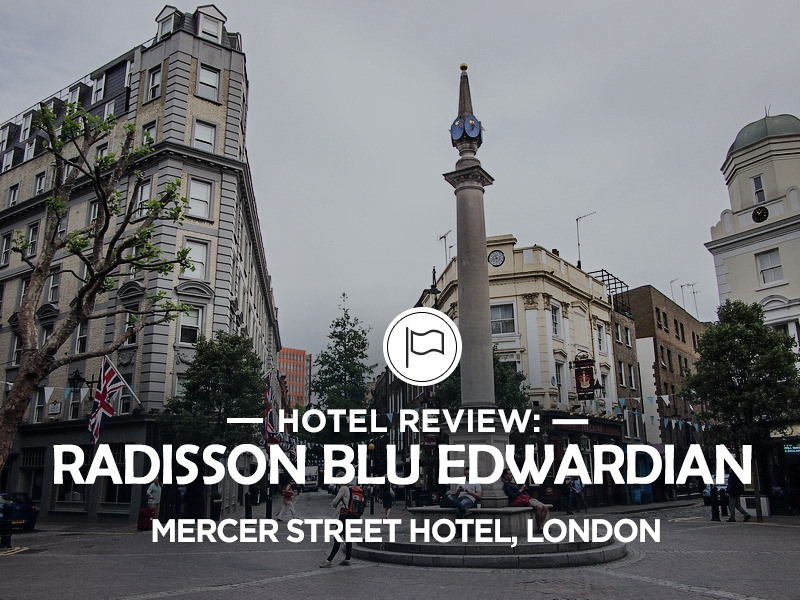 I stayed at the Radisson Blu Edwardian Mercer Street Hotel in London. 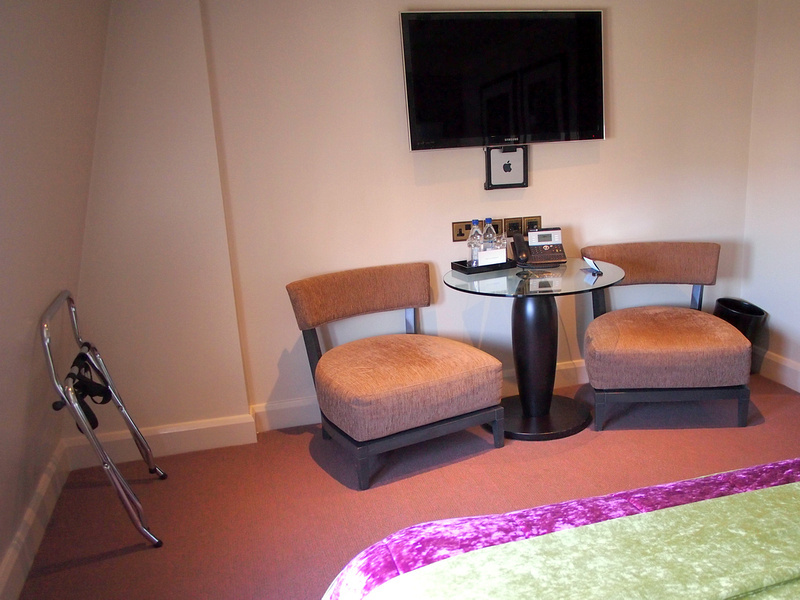 I was a guest of Club Carlson, who provided points for my stay in London. The hotel is on Seven Dials, an intersection where seven streets converge with a sundial pillar in the middle of the intersection. This is in Covent Garden, which is about as central as Central London gets. I checked in early and luckily there was a room available. I don’t expect a room to be ready before 2pm so it’s always a bunus when there is. 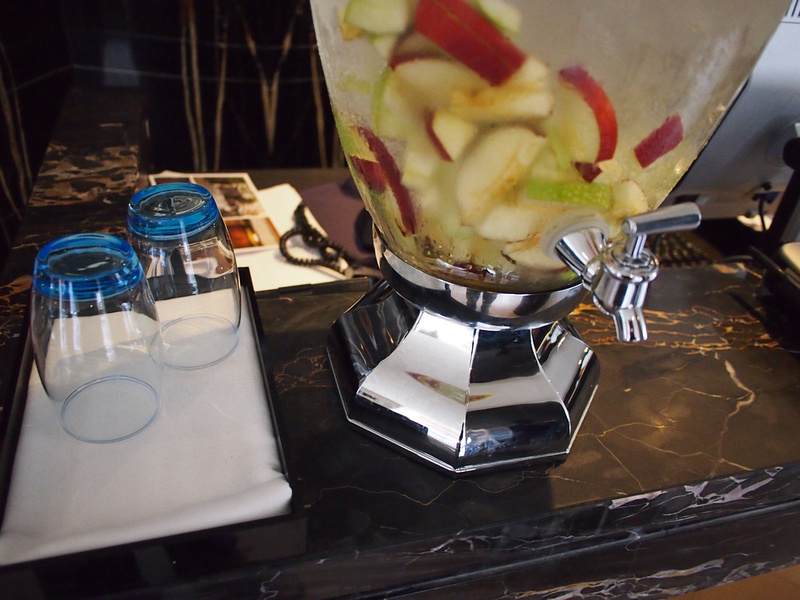 I like how they have chilled fruity water in the reception area. I noticed that it was a different fruit the next day, just so you know they change the fruits out daily. 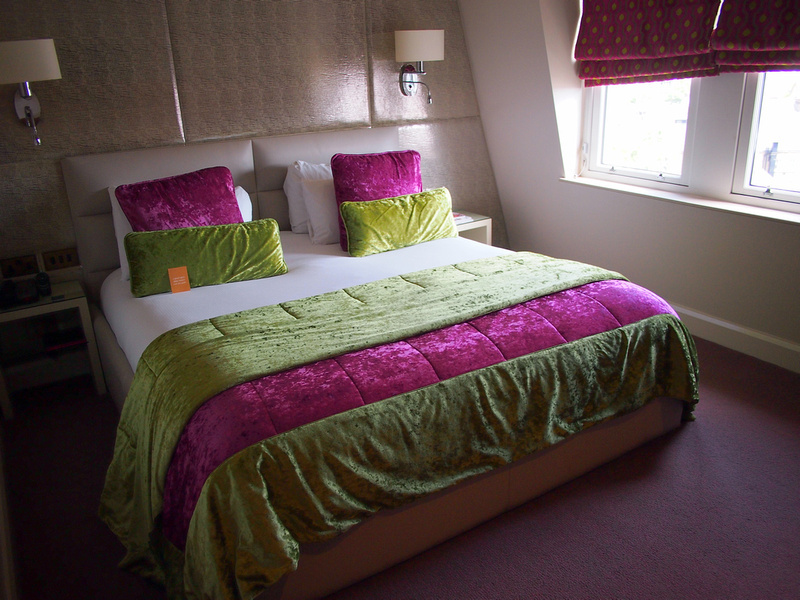 I stayed in a top floor room, which you can tell here by the slanting roof walls. My room faced directly east and the curtains were thick enough to block out the 4:45am sunrise at this time of year. My room was marked as a “Business Room”, yet the only table in the room was a little round table with no matching chairs to sit on. 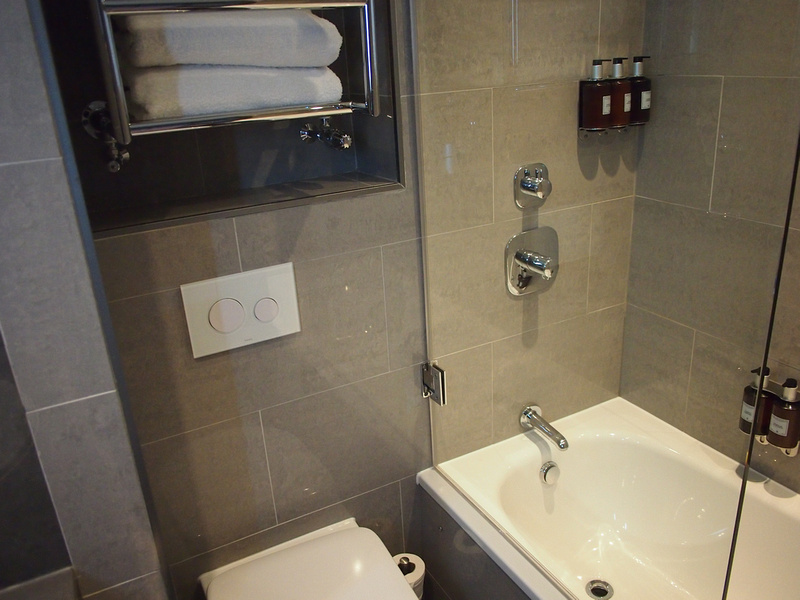 I didn’t mind it being a small room as space is of the premium in London. They just could have made better use of the space by putting in a work desk somewhere. Bathroom was nice for its size. 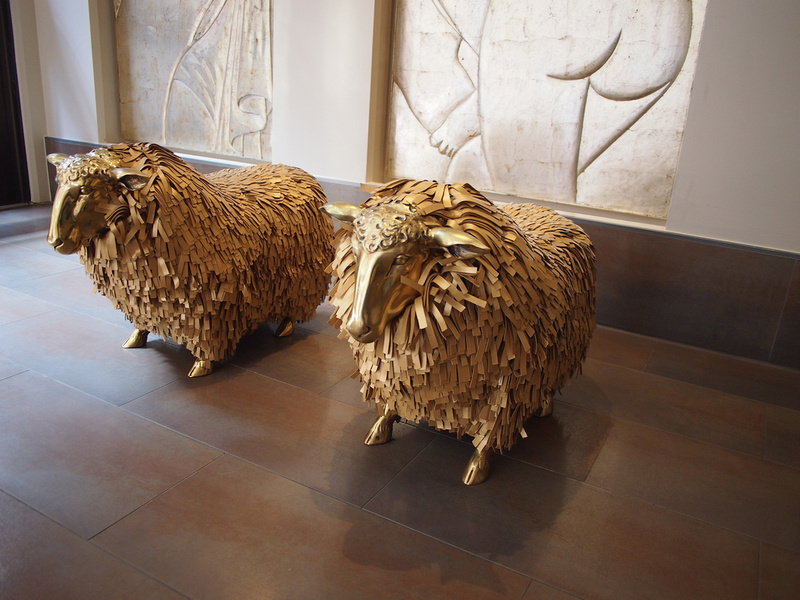 Back in the foyer I liked the little artistic touches that Radisson Blu hotels do well, such as these golden sheep. 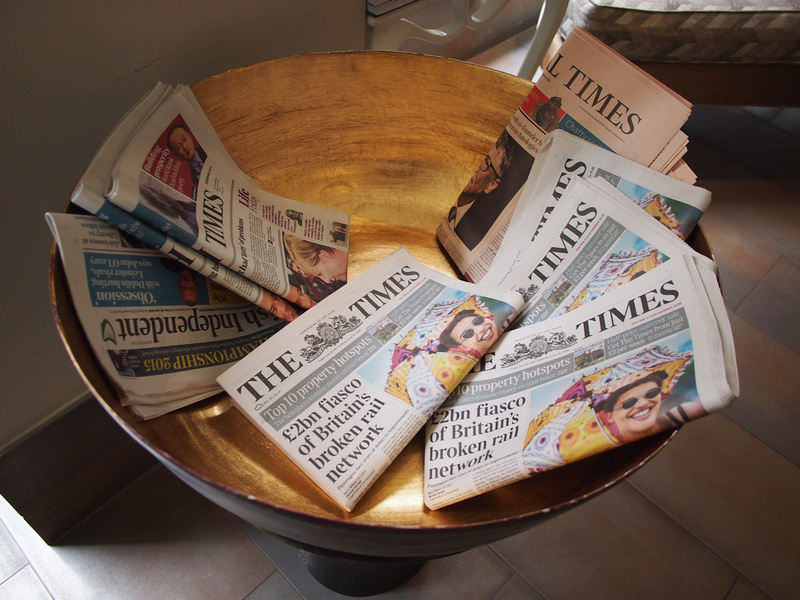 There were papers available in the foyer which I was surprised to see. On the checkin card they market “Complimentary Online Newspapers” by way of the free hotel wifi. This is a nice way of saying that we no longer put a newspaper by your door in the morning, like hotels used to do. The wifi is free here and there is only a one-time login, so no need to login or remember a complicated password when you return to your room. Overall I enjoyed this hotel for its location, but could have used a desk in my room.